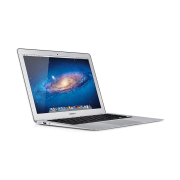 At mResell you can find a selection of preowned and brand new MacBook Air laptops. We strive to offer a safe platform with extraordinary prices for all of our customers, and are proud to offer a 12 months warranty as well as a 14 days return policy on all of our MacBook Air models. The MacBook Air is lightweight and thin, making it the most convenient Apple laptop for daily use.